Serving: Conway Arkansas and the surrounding area. 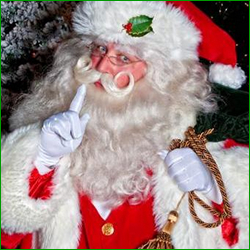 Whether you need this Arkansas Santa for a tree lighting, daycare visit, business event or promotion, professional photography setting or more, call this Conway Santa for your Santa home visit or party appearance. A Santa with dress and accessories second to none, this is a first class Santa for hire all the way. Call Today!